It was never going to be an easy job being the prime minister responsible for taking the UK out of the European Union. There’s always that one issue that becomes a real sticking point for anyone in the top job – a point where troublesome backbenchers, ministerial resignations and tense parliamentary votes combine. Tony Blair had the Iraq invasion, Gordon Brown had the 10p tax and the financial crisis. David Cameron had not one but two referendums and a tuition fees policy which caused tensions with his coalition partners. 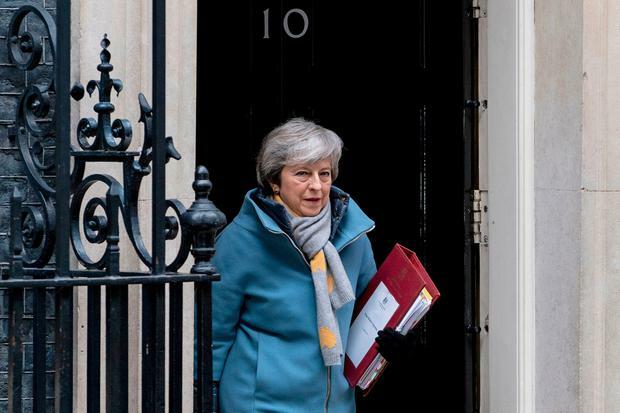 Theresa May suffered another withering defeat this week, by 149 votes, on her Brexit deal after last-minute assurances from the EU failed to convince Brexiteers and the DUP. The relationship between a prime minister and their party is always a fluid one, and the relationship between a prime minister and parliament is equally so. May knew that Brexit would be her prime-ministerial inheritance and that her success or failure would be inextricably bound up with the Brexit deal. Yet she declared herself ready for the challenge. At the start of her term, the relationship seemed to be one of prime-ministerial dominance or control of parliament, but over the past four months this has increasingly turned on its axis. May has shown a resilience and commitment during the Brexit process which far outweigh those of her immediate predecessors. She has now weathered defeats of a size not seen in modern parliamentary politics and survived a no-confidence vote. She has battled on throughout, as emphasised by her valiant effort in the Commons on Tuesday as she fought a throat infection. But the way in which this stoicism has transferred into her discussions with parliament, endlessly repeating the line that the only way to avoid no deal is to vote for her deal – even in the face of defeat – has not served her parliamentary authority well. When Cameron was defeated in the House of Commons over military action in Syria, he not only said that he respected the wishes of parliament, but he acted on their wishes too. It was clear to all that MPs had been heard. When May lost the meaningful vote on her Brexit deal, she responded immediately that the government would “listen”. But her actions towards parliament proved otherwise. Over the past couple of months, the British prime minister has overseen a lack of transparency and clarity on everything from if and when votes will go ahead to the content of the “alternative arrangements” for the Irish backstop. The strategy seems to be only to give the appearance of listening to parliament, not actually doing it. She has met with her own MPs and with the leaders of the other opposition parties, but no tangible changes followed. Her last-minute dash to Strasbourg on Monday night was indicative of this approach, a press statement coming so late in the evening that MPs were left hanging until lunchtime on Tuesday to hear the British attorney general’s verdict on the new backstop arrangements, and even longer to hear further details from the prime minister herself. Such was the lack of clarity that the Commons speaker John Bercow said he would accept last-minute manuscript amendments to Tuesday night’s motion as MPs waited for further details (though no amendments would ultimately be selected for debate). It’s no surprise at all then that the reaction of the House of Commons since December has been to try to take back control of not just the content of the Brexit deal but also the timetable and process by which it is finalised. With the prime minister talking at MPs rather than with them, she has lost the parliamentary authority she once had, boxing herself into a corner with no wriggle room and increasingly testing everyone’s patience. The government’s second massive defeat in the Commons on Tuesday came as no surprise. If MPs vote to extend the Article 50 process today, as they seem almost certain to do, it will present a final opportunity for the prime minister to not only listen to the House of Commons but to demonstrate that she has actually heard it too. This is the only way in which a Brexit deal can be reached now.